International Peoples’ Tribunal will hold a hearing on 15-16 March in Paris to investigate the killings of three Kurdish women politicians in Paris in 2013 and the terror and massacres of the Turkish state against Kurds. Paris, 13 March 2018 - Middle East Diplomatic (MED - International Peoples’ Tribunal will hold a hearing on 15-16 March in Paris to investigate the killings of three Kurdish women politicians in Paris in 2013, terror and massacres of the Turkish state against Kurds particularly since 2015 and now in Afrin. All the decisions taking by the Turkish president Recep Tayyip Erdogan in this regard will be in the center of hearing. A panel of seven international judges will hear investigations into alleged breaches of international humanitarian law by the Turkish Armed Forces within Turkey. The judges will also assess the legality of Turkish intelligence operations against Kurdish political activists in Europe. The verdict of the Tribunal will be sent to various international organizations: the UN Commissions, the European Court of Human Rights, the European Parliament and other international, regional and humanitarian organizations. Among the judges are Philippe Texier, retired French magistrate and former member of the United Nations Committee on Economic, Social and Cultural Rights, Domenico Gallo, former senator and secretary of the Defense Commission, Norman Paech, jurist and professor of political science in the Hamburg University, Dennis Halliday, former United Nations Humanitarian Coordinator in Iraq, Luciana Castellina, politician, journalist and Italian writer, former member of the European Parliament, Majid Benchikh, Emeritus Professor of International Law at the University of Cergy-Pontoise, former President of Amnesty International in Algeria. Teresa Almeida Cravo, Researcher at the Centre for Social Studies, at the Humanities, Migration and Peace Studies Research Group, and an Assistant Professor in International Relations at the Faculty of Economics of the University of Coimbra. The international tribunal will seek to investigate two key questions. The first relates to alleged war crimes conducted by the Turkish state after the collapse of peace talks between the government of Turkey and the PKK in 2015. 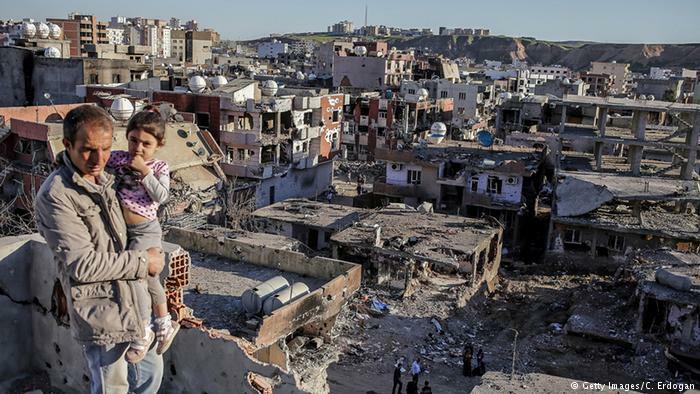 In 2015, the Turkish Armed Forces began an assault on Kurdish cities like Diyarbakir, Cizre and Sirnak. The Tribunal seeks to investigate whether or not these actions amounted to war crimes. The indictment will also, secondly, focus on targeted assassinations believed to have been conducted by Turkish intelligence. In particular, one high profile case involves the murder of Sara Sakine Cansiz, Fidan Dogan and Leyla Soylemez - three Kurdish women activists that were murdered in the Kurdistan Information Centre of Paris in January 2013. The Kurdish French community said already from beginning that the 3 Kurdish women politicians were under observation of the French police/intelligent institutions. Omer Guney, the Turkish man accused of assassinating the three women, died mystically in a prison in Paris, to the suspicion of many activists outraged by the assassinations. The French interior minister immediately called the assassinations "without doubt an execution", but later French authorities did not take all the process “seriously” which resulted in accusations of Kurds against France “deep-state’s cooperation with the Turkish intelligent services”. The Tribunal will also assess the general situation in Turkey after the attempted coup on 15 July 2016. 132 668 persons have been incarcerated among them 9 deputies of the HDP (People’s Democratic Party, Kurdish political coalition) and 56 Kurdish mayors. 151 967 officials have been dismissed, among them 5 122 teachers and 4 463 judges and prosecutors, 319 journalists have been arrested, 189 press organisations have been forbidden, 3,003 schools, universities and university residences have been closed. The Paris Tribunal’s accusations have been brought forward by the International Association of Democratic Lawyers (IADL), the European Association of Lawyers for Democracy and World Human Rights, the Association for Democracy and International Law Maf-Dad and the Kurdish Institute of Brussels. Following the hearing in Paris, the Tribunal will deliver its verdict after one or two months. The decision will also be broadcast in Brussels at a conference where politicians, academics and representatives of social and religious movements will discuss the political consequences of this verdict and make recommendations to the international community on the political measures to be taken. The sentences pronounced by the tribunal will be transmitted to multiple bodies such as the European Parliament, the European Court of Human Rights, the UN Commissions, and to international, regional and humanitarian organizations. About The Permanent People’s Tribunal: It was created in Bologna in 1979 and its initiator is the Italian senator Lelio Basso. 40 audiences have been held till today by the PPT which is the continuation of the Russell Tribunal formed by the philosophers Bertrand Russell and Jean-Paul Sartre in order to evaluate the human consequences of the American military intervention in Vietnam. The PPT is a tribunal of opinion, independent of States. It answers to the demands of people and communities whose rights have been violated. The goal of their audiences is to “restore the authority of people when the states and the international organisations failed to protect people’s rights”.